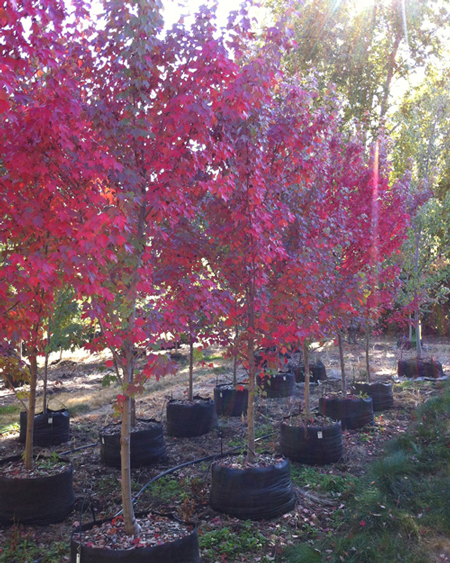 Red Sunset Maple has superb fall color, and makes a wonderful yard and street tree. Medium- to fast-growing, 40-60ft high by 40-60ft. wide at maturity, this tree has a large rounded crown when fully grown although it tends to be pyramidal when young. 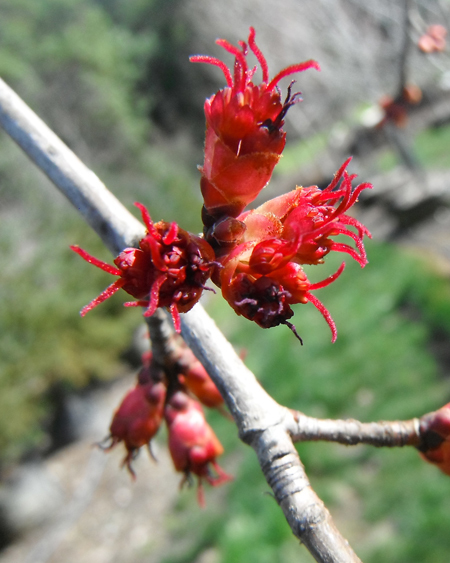 In spring, watch for dense clumps of red flowers which turn to red samaras in the summer. Its shiny green leaves with red twigs and stems grow 3-6in. across, and in fall they color up to brilliant reds and oranges. Plant this tree in full sun. It isn't particular about soil conditions, and is drought tolerant.